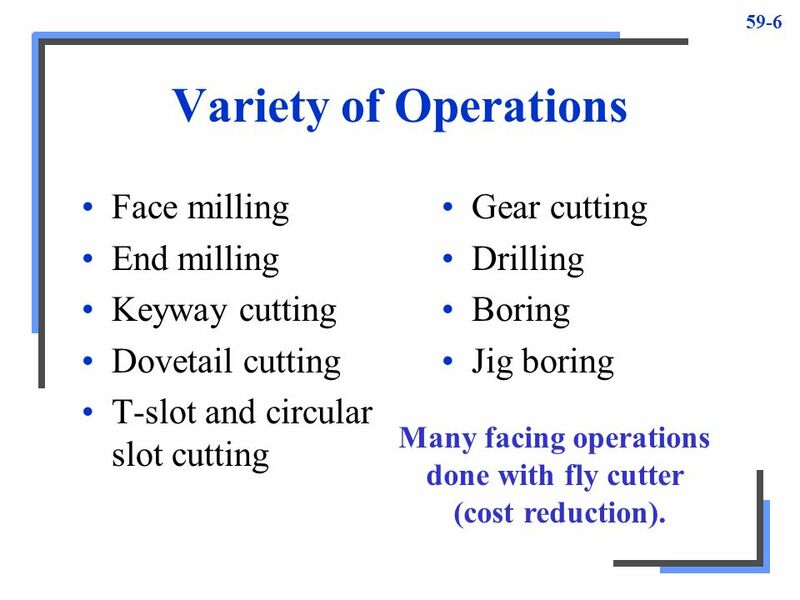 Milling operations may be classified under four general heading as follows: Face Milling , machining flat surfaces which are at right angle to the axis of the cutter. 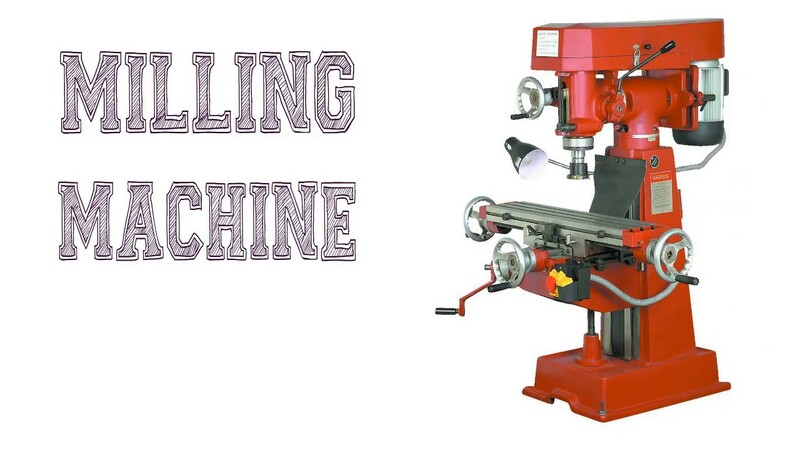 Plain or Snab Milling , machining flat surfaces which are parallel to the axis of the cutter. End-milling cutters � End mills can be used on vertical and horizontal milling machines for a variety of facing, slotting and profiling operations. Solid end mills are made from high-speed steel or sintered carbide. Other types, such as shell end mills and fly cutters, consist of cutting tools that are bolted or otherwise fastened to adapters.